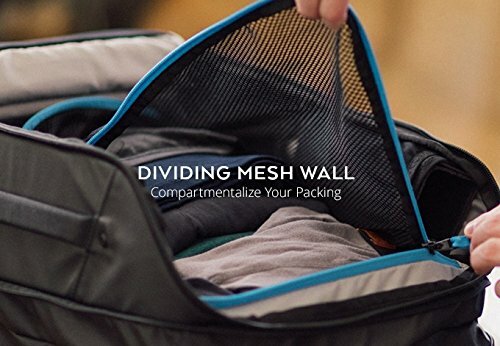 The mesh divider separates you clothes from your electronics and everyday carry items. 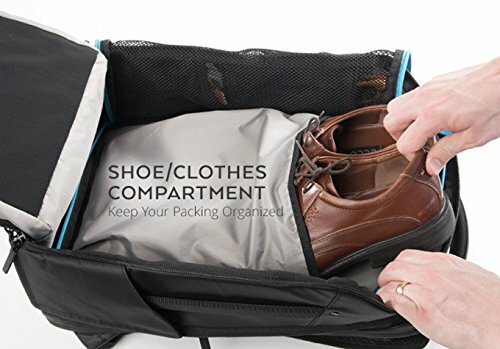 There’s a charging cable pass through to all major pockets in the bag. 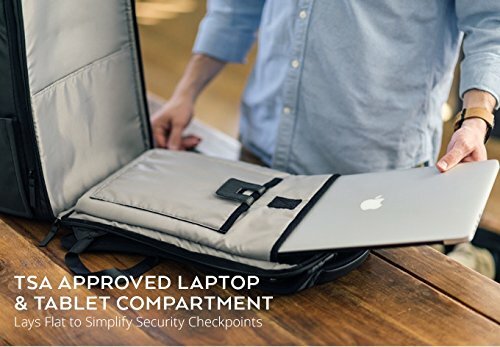 The TSA approved laptop pocket allows your laptop pocket to lay flat, making it a breeze to pass through TSA checkpoints. 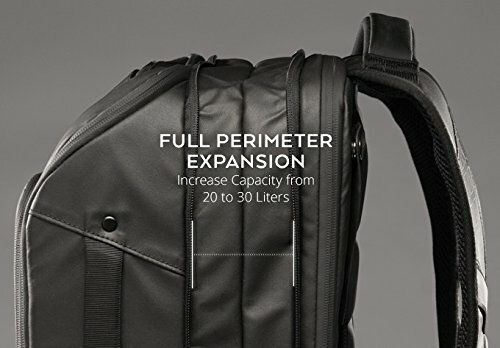 Simple expansion process makes it easy to expand from a 20L bag to a 30L. 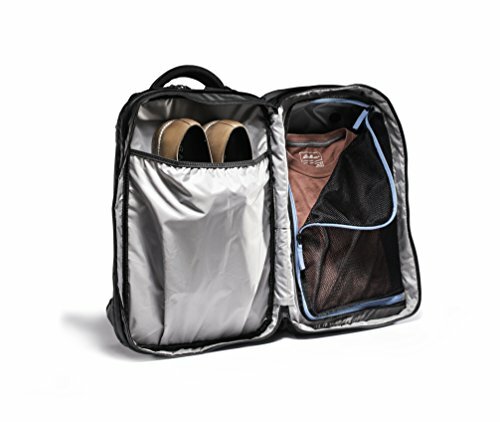 Bag dimensions are 18.5″x6″x12″ and weighs 4lbs. 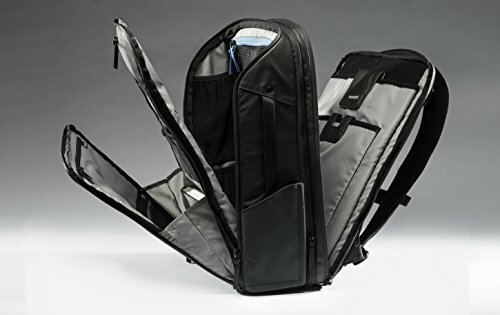 The innovative strap system adds a level of versatility to the bag that can help you look professional or escape the demands of your profession. 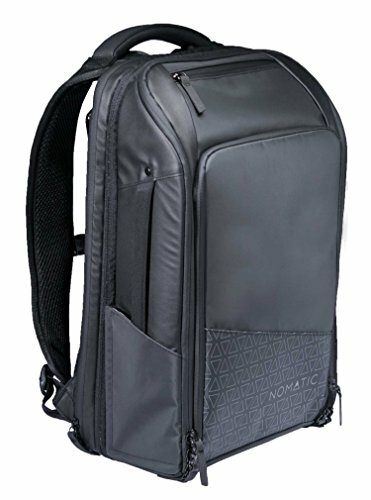 Simply unsnap the back panel, tuck in the straps, and snap it back down to carry like a briefcase. 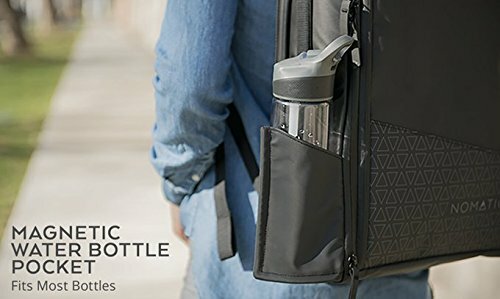 Multiple unique features such as the magnetic snap water bottle pocket, it snaps shut and looks sleek when it’s not in use, and expands when you need the space. The retractable key leash. 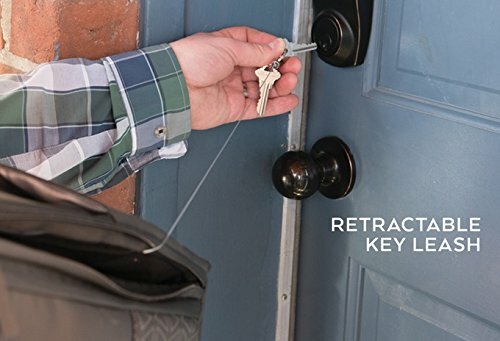 Easily lockup with one hand, release the key, and watch it effortlessly returns to its pocket in the bag.